Nest Thermostat Gen 1 Vs Gen 2 -- What's the Difference? 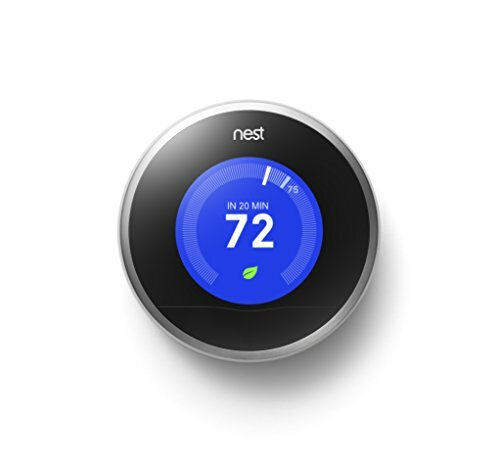 The original Nest Thermostat, released in late 2011, changed how many consumers viewed the programmable thermostat. With revolutionary included features and style that would make an iPod owner proud, it was not only easy to own and use-- but looked great too. In fact, the team that designed the Nest included several ex-Apple employees, and the finished product makes that clear. Like all great things there was always room for improvement, and now there is a new Nest in town. Generation 2 is out and is taking it up a notch with some new features and sleek styling to improve on an already impressive track record. Both version 1 and version 2 are true learning thermostats, meaning that they track your actions and learn how you adjust the temperature over a period of time. This, in turn, allows the unit to start making those changes for you automatically. The problem with other programmable thermostats is that you have to program them - a task that can try your patience - and even then they are stuck as is until you change them. With the Nest, you simply go about your day and within a week or two the device can take over. As you continue to make adjustments the device keeps on learning and slowly adapts to your comfort level. Other features that are on both versions include the ability of the device to learn your patterns and adjust for different seasons, so winter and summer will both be handled as expected. Sensors will automatically determine when nobody is home and set the unit to your established energy-saving temperature. To save energy, a feature called Airwave will turn off your air conditioner early but keep the fan running so you can take advantage of that cool air still in the ducts and on the condenser. This can save serious money in the summer. If you want to understand your home’s energy usage and control your system from your favorite gadget, Nest has you covered. You can easily track energy use history online, see helpful reports, and make thermostat adjustments from your iPhone, iPad, Kindle Fire HD, or Android smartphone. The appearance of the unit is one of the most noticeable differences between versions. The original Nest was 3.2 inches in diameter and extended 1.6 inches from the wall, while v2 is roughly the same width but sits closer to the wall at just under 1.3 inches - about 20% thinner. This gives it a much more refined look. Despite the size difference, both include a rechargeable lithium-ion battery to reconnect after a power outage and a bright 320 x 320 pixel 1.75” display. For non-native English speakers, the new version features French and Spanish in addition to English. However, when it comes to the software, both systems will auto-upgrade to the latest version available. Compatibility between the thermostat and low-voltage cooling and heating units used in most homes has also been expanded in the new version. While it was estimated that 75% of systems would work with the original, the Nest thermostat generation 2 has improved that to around 95%, in part by including more wires to connect easily to more types of systems. All kinds of systems from common forced air and electric to gas, oil, radiant and heat pump systems are compatible. The Nest generation 2 includes and early-on feature that can learn to hit the perfect temperature by the time you get out of bed, and will track exact usage to tell you just when to change the air filter. Additional features like a heat pump balancing system will reduce use of auxiliary heat and true radiant technology will produce even heat without great fluctuation. No matter what type of system you have, there is an added feature that is likely to benefit you. In a nutshell, you’ll get essentially the same software, display, and many similar features in both thermostats, but generation 2 will add a lower profile on your wall, greater compatibility and even easier hookup, more languages, and some neat new features. 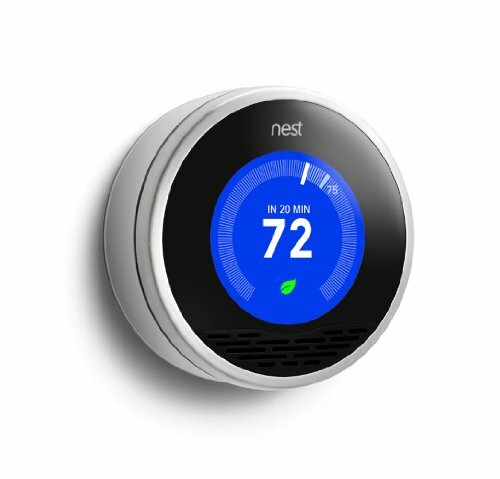 The Nest programmable thermostat is truly a one-of-a-kind energy saver, and will pay for itself in no time.